A full trailer for the second season of the Evil Dead spin-off is here. Ash vs Evil Dead follows Ash (Bruce Campbell), the stock boy, aging lothario and chainsaw-handed monster hunter who has spent the last 30 years avoiding responsibility, maturity and the terrors of the Evil Dead. When a Deadite plague threatens to destroy all of mankind, Ash is finally forced to face his demons –personal and literal. Destiny, it turns out, has no plans to release the unlikely hero from its “Evil” grip. 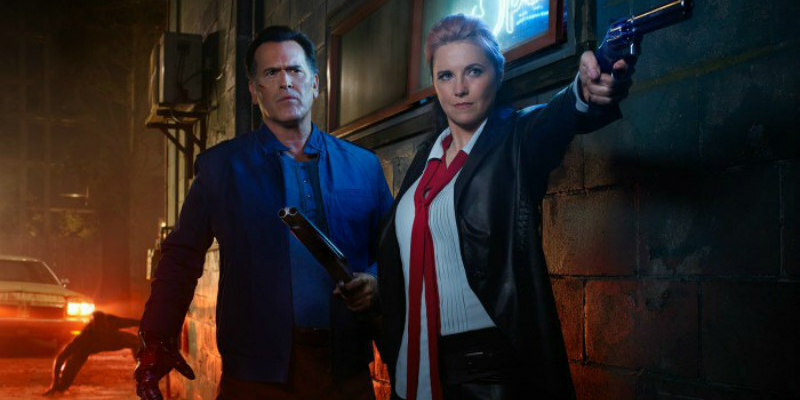 Ash vs Evil Dead returns this October.